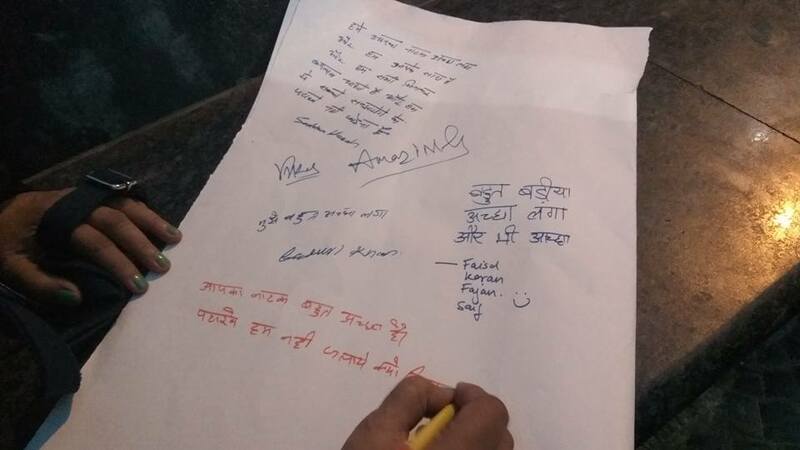 The ECO CLUB launched an initiative of anti-cracker campaign on 25 october 2016 in a unique manner. 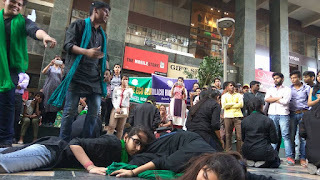 For this a street play was prepared week before. The name of street play was BEZUBAAN 'YE DIWALI KISI KE SAPNE SACH KR DENE WALI.' 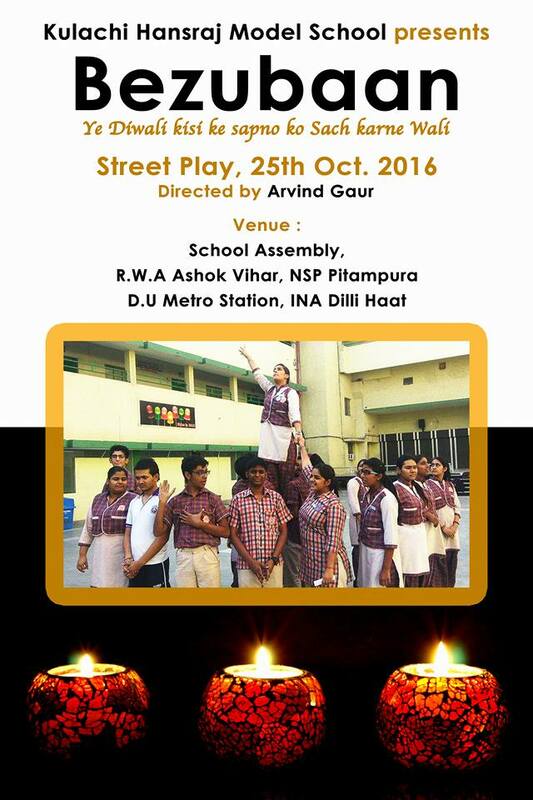 The main theme of play was to spread awareness about harmful effects of crackers on environment and on human beings. 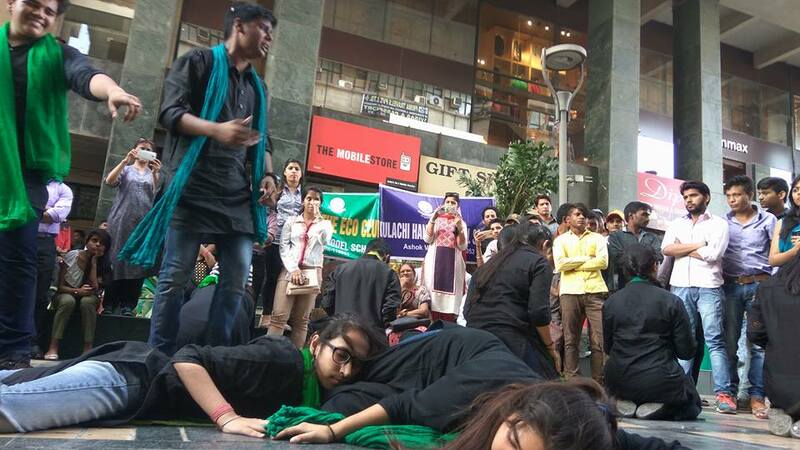 It was prepared by members of ECO CLUB under the guidence of talented RAHUL SIR from ASMITA theatre group. and ROHINI CITY CENTRE MALL. 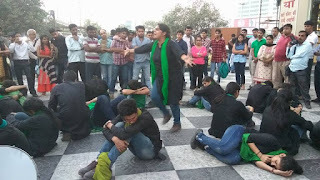 The play caught attention of people and passers by huge crowd was collected to take the glimpse of our play. They boosted up the confidence of students by appreciating the efforts of each student. The GLOBE Asia Pacific Science Fair is organised annually for a worldwide community of students, teachers, scientists and citizens working together to understand, sustain and improve the Earth's Environment at local, regional and international scales. 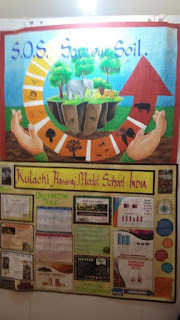 This year, GLOBE India and The Indian Environment Society collaborated with our school's Vasundhara Club. 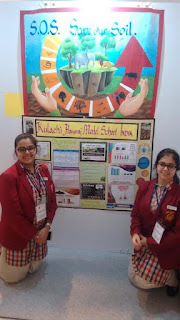 Vasudha Kalra and Ishita Banati, the office bearers of the club along with the Teacher Coordinator, Ms. Madhu Mehta participated in this mega event held in Gangnam, Seoul, South Korea. 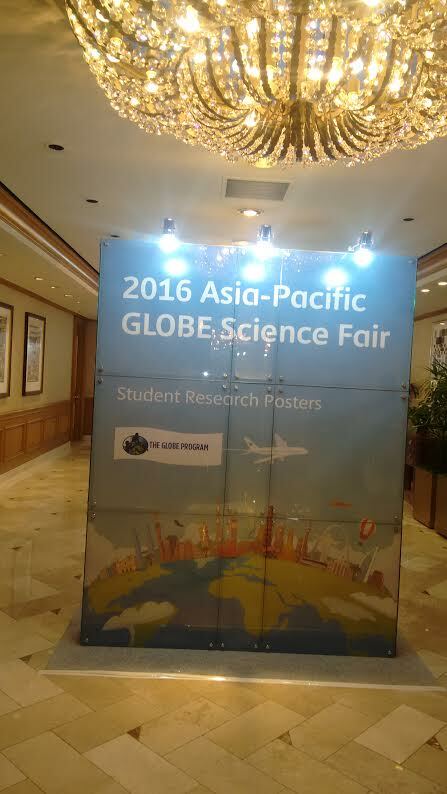 This event saw the participation of 15 school's from over 8 countries. We, The GLOBE Representatives from India had made a detailed analysis of Soil cover in the areas that surrounded our institution. Team India had also showcased a glimpse of Indian folk and classical music through a dance performance. Our project received a commendable applause. 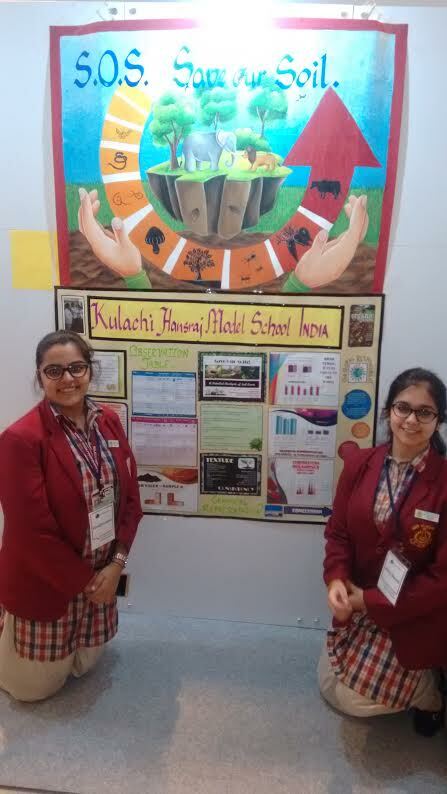 Kulachi, once again shone overseas by winning the Best Poster Award and the Second prize in the Best Project. 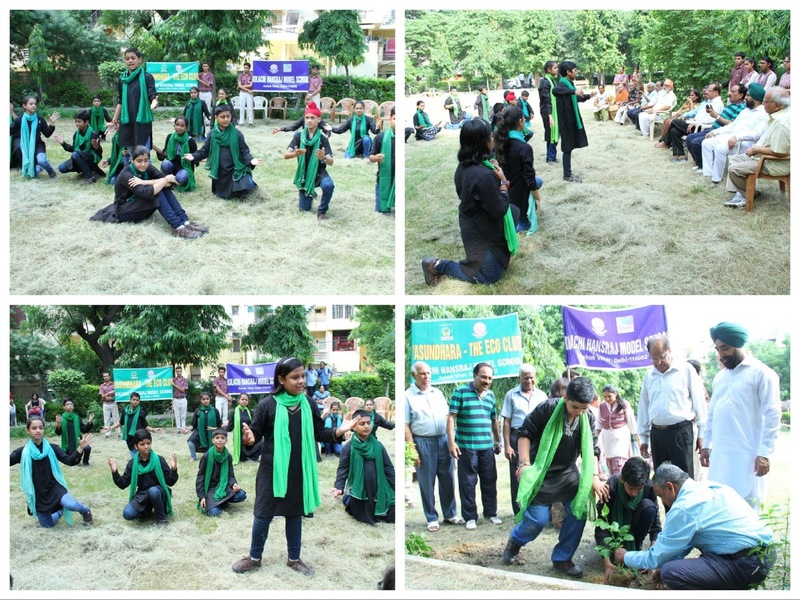 It was a very pleasant morning of 20th August, 2016 and students of Vasundhara- The Eco Club of KHMS were all geared up for the tree plantation in the colony park near our school in association with RWA of B-Block, Ashok Vihar. Around 15 members of RWA had gathered in the park, where the Principal of the school, Ms. Sneh Verma, Dr. B.C.Sabata, Sr. Scientific Officer, Deptt. Of Environment, Govt. of NCT Delhi, eco club members and teacher coordinators, Ms. Madhu Mehta and Ms. Manjula Agarwal joined them. 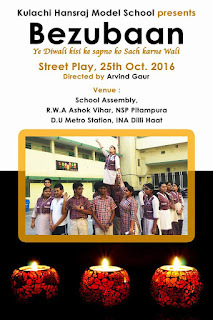 The programme started with a Nukkad Natak, highlighting the importance of trees, presented by the students of Class 7 and 8 of our school. After that ,the school Principal, Dr. Sabata, RWA members, students and teachers planted 50 saplings in the park. Vasundhara-The Eco Club of our school has now adopted the park and has pledged to nurture the saplings which we had planted so that they all grow well into healthy trees. 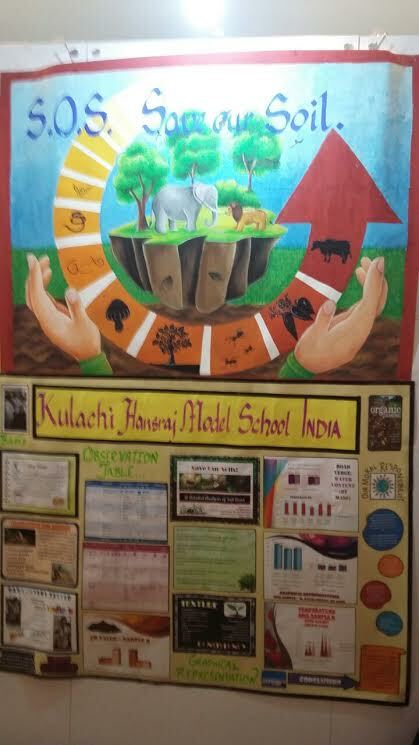 Vasundhara, the Eco Club of KHMS, was established to sensitize the students and to strive towards achieving a greener earth. The 14th Induction Ceremony of the club took place on 20th August, 2016 which was presided over by Dr. B.C. Sabata, Senior Scientific Officer, Department of Environment, Govt. of NCT, Delhi. He, along with our Principal, Mrs. Sneh Verma and members of the club lit the lamp of knowledge. The Principal of the school presented a small plant to the guest as a symbol of a blossoming tomorrow. This was followed by a Prakriti Vandana sung by club members. The Principal addressed the gathering wherein she asked the students to plant a tree on their birthday and to nurture it. 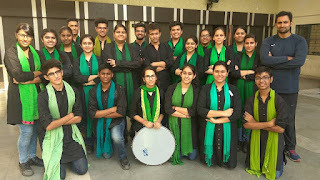 The outgoing President, Sanchit Jain, presented the annual report of previous year’s activities undertaken by Eco-Club. The names of the new office bearers of the club were then announced . 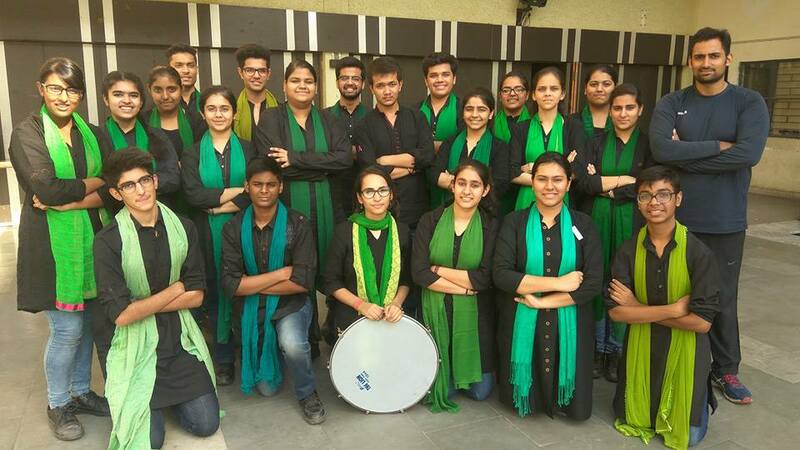 Vasudha Kalra was inducted as the new President and Rashi Jain as the Vice-President. The office bearers and members were decorated with badges. Then, Dr. B.C.Sabata and Dr. Deshbandhu, President, Indian Environmental Society, administered the eco pledge. This was followed by an inspiring address by Dr. Sabata and Dr. Deshbandhu in which they motivated the students to work towards making our surroundings cleaner, greener and healthier. The ceremony concluded on a good note, where the students along with Dr. Sabata, Dr. Deshbandhu and teachers planted saplings in the school ground, with a promise to nurture these saplings for a better tomorrow.